The Xbox One got off to a rocky start in Japan, a country with a track record of virtually ignoring Microsoft's home consoles when given choices from Sony and Nintendo. The newest Xbox actually launched with the worst numbers that Japan's seen over the last 15 years, a feat no company would be proud to accomplish. Still, Microsoft isn't ready to give up on selling consoles in Japan. Famitsu Magazine hosted an interview between Xbox head Phil Spencer, Microsoft Japan General Manager Takashi Sensui and D4 Director Hidetaka SWERY Suehiro. The tone of the chat? They're not giving up yet. "I believe there are various ways of succeeding in Japan…And of course getting customers to buy it is important. Additionally, there's also the relationship with third-party companies. We'd like to support Japanese third-party companies to achieve success on a global scale." When asked about the initially bad sales of the platform, here's how Spencer responded. "Just as Sensui said earlier [during the interview], those who purchased the Xbox One in Japan have provided us with very positive feedback. It seems like they've seen the attraction of the games line-up and such.Those who purchased the Xbox One in Japan have certainly been enthralled by it. For this reason, we'd like to keep expressing the Xbox One's charm as much as we can. We plan on talking to various Japanese developers and publishers during Tokyo Game Show. We'd also like to have many people try out a bunch of games on the game floor as well. I believe we'll commit with more depth into the Japanese gaming industry." Spencer even talked about the longevity of the platform as compared to the Xbox 360, saying "I believe that the popularization of the Xbox One will be a longer journey than it was with the Xbox 360." He's likely right, given the initial showing of the machine. "I also hope to see fans not be afraid of trying something new, and give it a shot. I believe that if they try it out for themselves, they'll see how fun it is. So, please take your first step, and give the Xbox One a try." While I'm not sure it's the fear of something new that's keeping Japan from buying into the Xbox One, I do hope the console eventually finds some footing there. In fact, I say that for all the consoles in Japan. The country has pushed so far into mobile and portable gaming that the life of home consoles seems rather short these days. 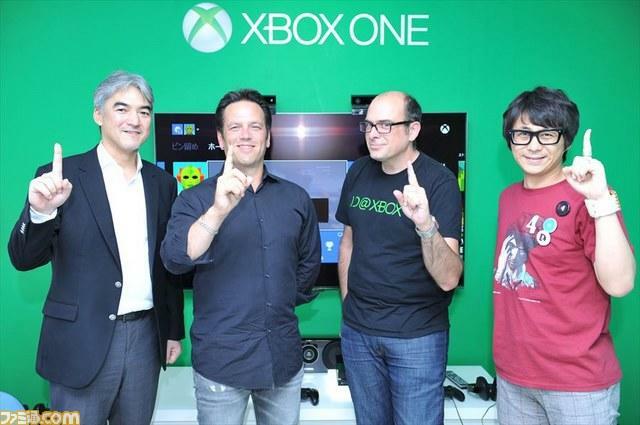 What do you think of Microsoft's chances with the Xbox One in Japan?